If you are looking for an economic way to travel somewhere stylishly, without having to bother yourself with the stresses of driving, then our chauffeur-driven Mercedes S Class service, here at TC Executive, is perfectly suited to your needs. Mercedes is famous the world over as an uncompromising producer of marques that offer the perfect blend of quality, precision, and luxury. This is no more evident than with the superb S Class, which offers a great level of practicality, without any sacrifice when it comes to refinement. 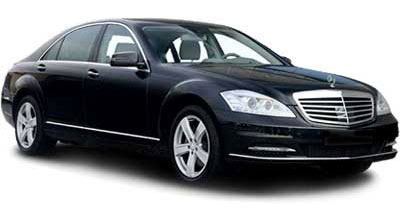 Our chauffeur driven Mercedes S Class service is a versatile choice that is suited to a broad range of clients. From the moment the chauffeur opens your door and you step into the rear of the S Class, it’ll become evident that, in opting to travel via our chauffeur driven Mercedes S Class, you have made the correct decision. Easily capable of seating up to four passengers, the Mercedes S Class offers a range of great features that will ensure your journey is comfortable. Such features include dynamic multiple contour seats, plus air chambers that adjust through cornering, to offer superior support. The Mercedes S Class will carry up to four passengers in comfort and luxury. This car has a powerful, yet effortless and silent engine, plenty of space on the inside and a large sized boot for luggage.